Velvet Paw Creations: Take the Hand Made Embossed Toilet Paper Technique Challenge at Blockheads Paper Arts! 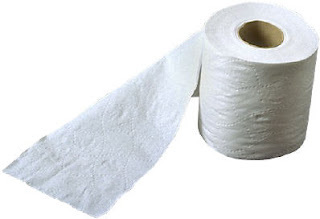 Take the Hand Made Embossed Toilet Paper Technique Challenge at Blockheads Paper Arts! I'm sure you're all looking forward to your holiday weekend with lots of relaxing planned but if you've got some spare crafty time how about playing around with Blockheads Paper Arts new Technique Challenge? I'm hosting the June challenge and I had a blast experimenting and creating and I'm sure you will too! 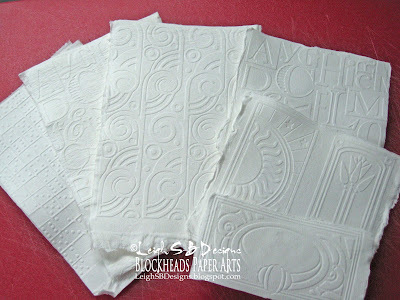 Check out my tutorial on Blockheads' Rubber Stamping Techniques page. Play around and have loads of fun and then share your creations by entering the Blog Hop Technique Challenge on Blockheads' Blog for a chance to win a $25 gift certificate, there's a code you need to add to your blog for your entry to count but its super easy to do and all the info is located on the techniques page, and if you don't have a blog you can also enter via our Facebook Group instead for a chance to win your choice of a 4" x 5" set of Blockheads' stamps cut on cling cushion! Awesome right! So what do you say, want to play with us?! You don't have to use Blockheads stamps to enter but of course we'd love it if you did and you don't even have to own an embossing/die cutting machine either if you've got a friend who will let you borrow an embossing folder, or better yet, persuade her to take the challenge too and make a day of it ;0) The challenge closes on June 21st so you've got tons of time to play! ...and now you can see it here! Wonderful card, love the colours and design!